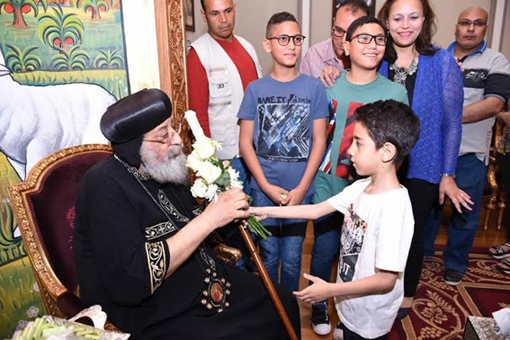 Saturday 13 October saw Pope Tawadros II back home in Cairo after a month-long pastoral visit to the United States. The Pope visited New Jersey, New York, New England, Florida, and San Francisco. He laid foundation stones for churches and consecrated others, prayed Mass and baptised babies, met clergy and congregations, and held meetings with young people, answering their questions. 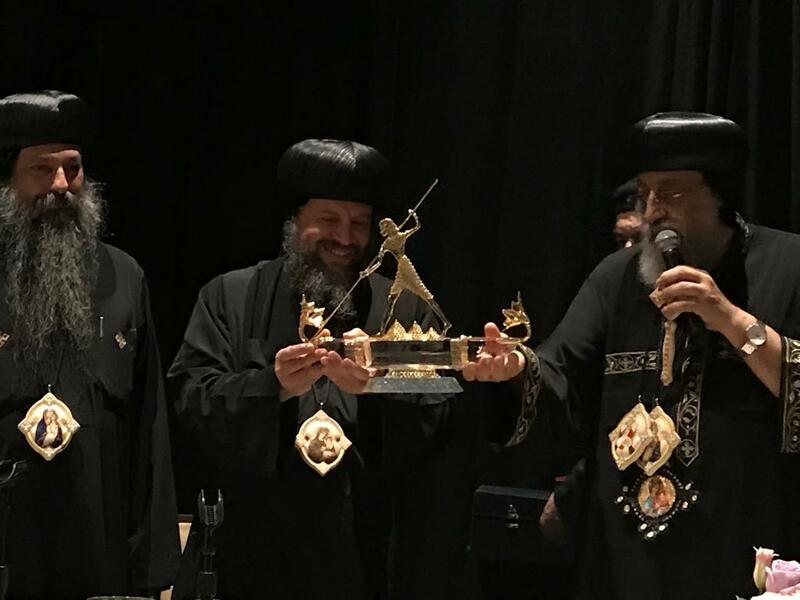 The Pope celebrated with the Coptic Orthodox Diocese of Southern US its silver jubilee. It was the first Coptic diocese to be established in the US. 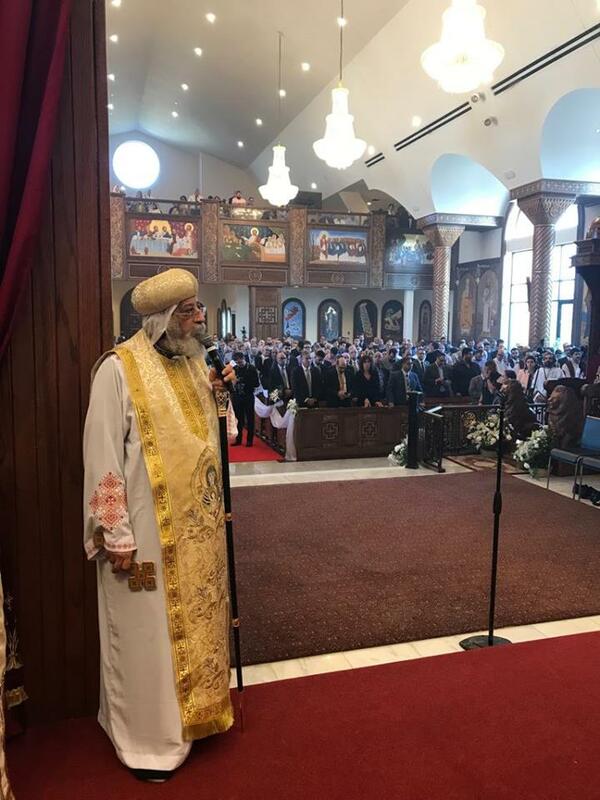 The celebration also coincided with the silver jubilee of the consecration of Anba Youssef as Bishop of Southern US Diocese. 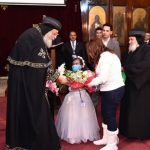 “When I thought of visiting the US,” Pope Tawadros said, “I was wondering where to begin. Many suggested various places, but I preferred to start with the first diocese established there. Under the header: “In journeyings often … In weariness and painfulness, in watchings often … Beside those things that are without, that which cometh upon me daily, the care of all the churches” (2 Cor 11: 26-28), the Coptic Orthodox Church’s US spokesperson posted on 8 October a statistical brief on Pope Tawadros’s visit to New Jersey, New York, New England and Florida. The Pope was then heading to his last stop in the US, San Francisco. The brief said the Pope’s journey covered 7450 miles. He presided over Mass 18 times; delivered 41 sermons and talks, laid foundation stones for four community centre buildings; consecrated and anointed altars and icons in 14 churches; ordained two priests; promoted 11 priests to Hegumen, and one deacon to archdeacon; headed 14 meetings with priests, deacons, laity, lawyers, families of priests who had passed away, children, persons with disabilities; and others. 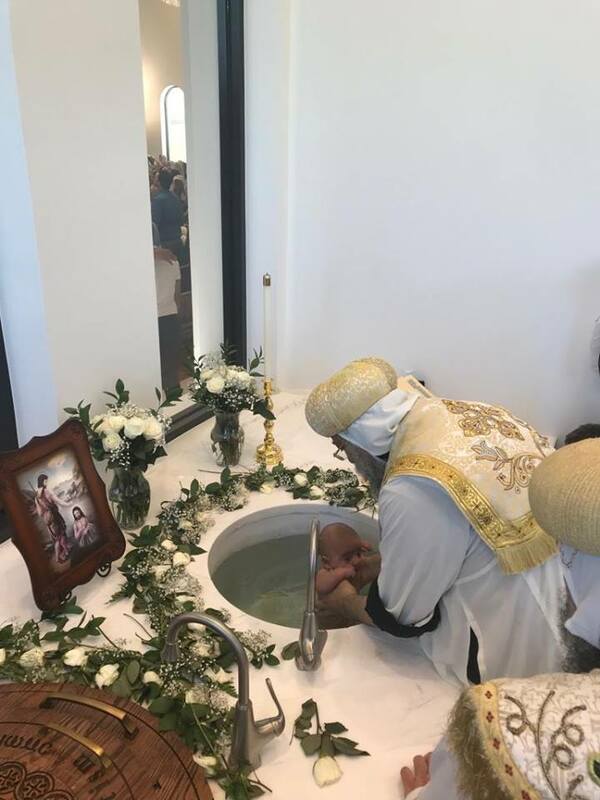 He baptised 36 children; and spoke at the graduation ceremony of the Class of 2018 from the Coptic seminary. He gave a sermon at Rutgers University stadium, which was attended by 8,000 persons. 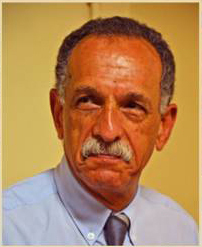 He participated with two lectures in the Coptic diaspora conference which included 16 prelates form North and South America, Australia, and Europe. 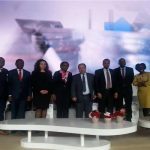 All in all, he met 47,350 persons and shook hands with 40,850 individuals and 500 children. 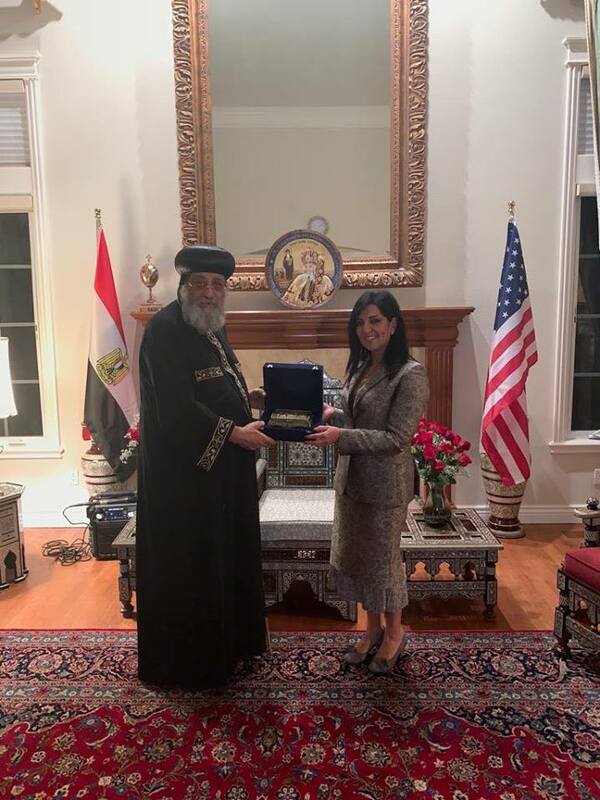 In an event organised by the Diocese of New York and New England, Pope Tawadros honoured the first Coptic immigrants who arrived at the US some 50 years ago. 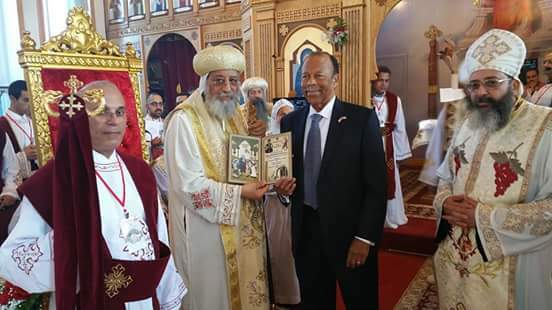 He reminded his audience of the contributions of honourable Copts to their Church, saying that the Coptic Church outside Egypt started at the hands of Pope Kyrillos VI in Kuwait in the early 1960s, Canada in 1964, the US in 1968, Australia in 1969, and the UK in 1971. 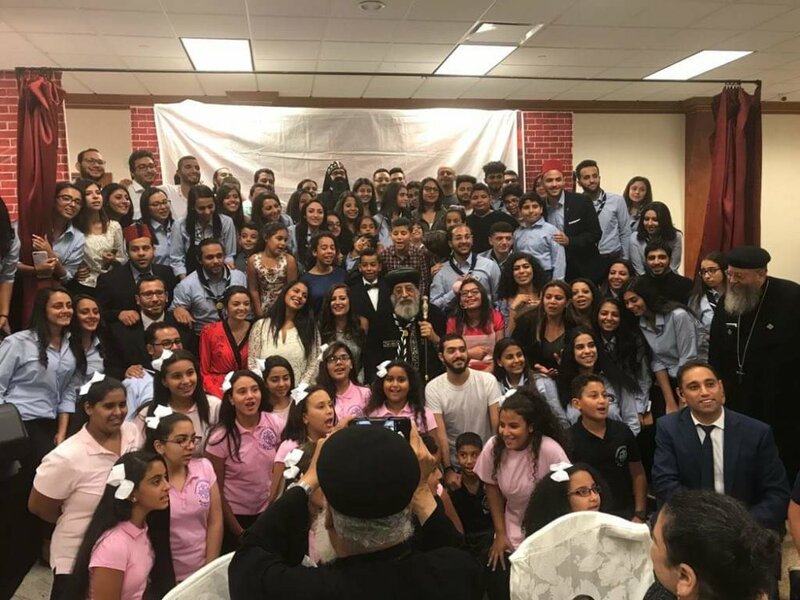 At the Coptic diaspora conference, Pope Tawadros spoke of “Theological teaching in the diaspora”. He focused on apostolic teaching, pointing out that the New Testament centres on: Jesus Christ, the Church, and Eternity. 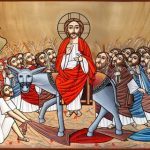 The four gospels, the Pope said, are primarily concerned with Christ, the Acts of the Apostles is concerned with the Church, and the Revelation focuses on Eternity. 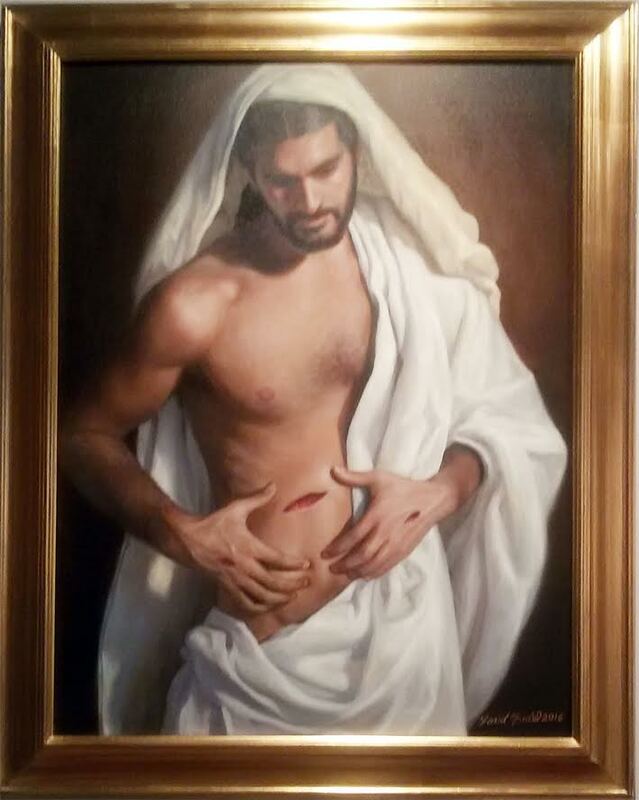 Only one apostle tackled all three: St John through his gospel, his epistles, and the Revelation. 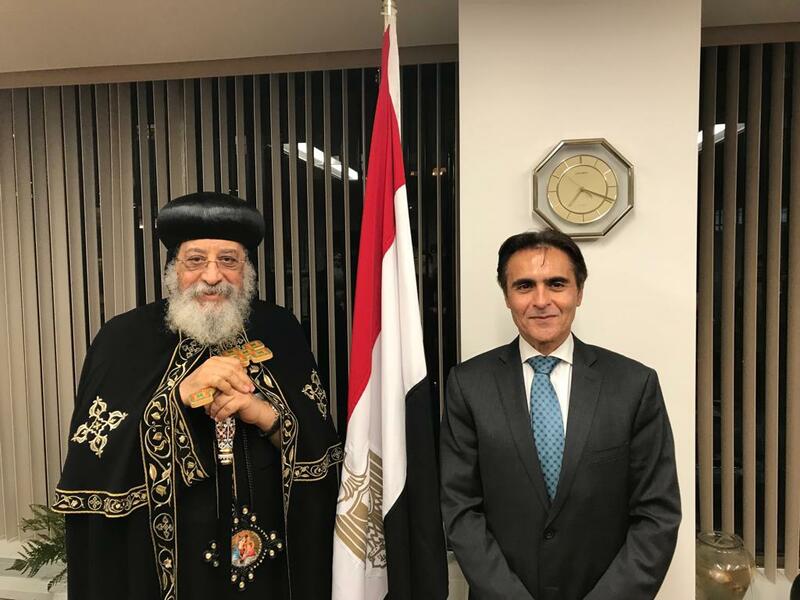 During his participation in the graduation ceremony of 29 priests from Pope Shenouda III theological college, Pope Tawadros spoke of plans to establish an online seminary, and a Coptic theological academy in Cairo; also the biggest Coptic library in the world. The library, he said, will be built over one feddan (4,200 sq.m.) 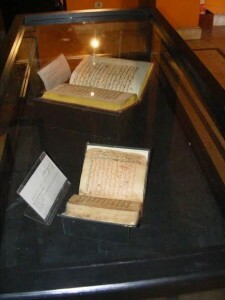 of land at Anba Bishoy Monastery in Wadi al-Natroun in Egypt’s Western Desert, and will house rare Coptic books and manuscripts. Pope Tawadros talked of a Service Constitution founded on St Paul’s words, that includes seven principles. First, it is a service that does not fail: “I can do everything in Christ who strengthens me” (Phil 4: 13). Second, beware the veiled gospel; the gospel within you should not be veiled but should shine before all (2 Cor 4: 3). Third, “What we preach is not ourselves, but Jesus Christ as Lord” (2 Cor 4: 5). Fourth, “We have this treasure” (2 Cor 4: 7). Fifth: “We have the spirit of faith” (2 Cor 4: 13). Sixth, “Inwardly, we are being renewed day by day” (2 Cor 4: 16). Seventh, “Looking to eternal glory” (2 Cor 4: 17). The ultimate goal of the service, the Pope insisted, is attaining the Kingdom of God. In a meeting with the priests, Pope Tawadros told them that the world is today hungry for the spirit of fatherhood. “The good Lord has allowed you to be fathers to many, and your wives share with you that service; let your loving fatherhood reach out to everyone,” he said. What lies under the stone? 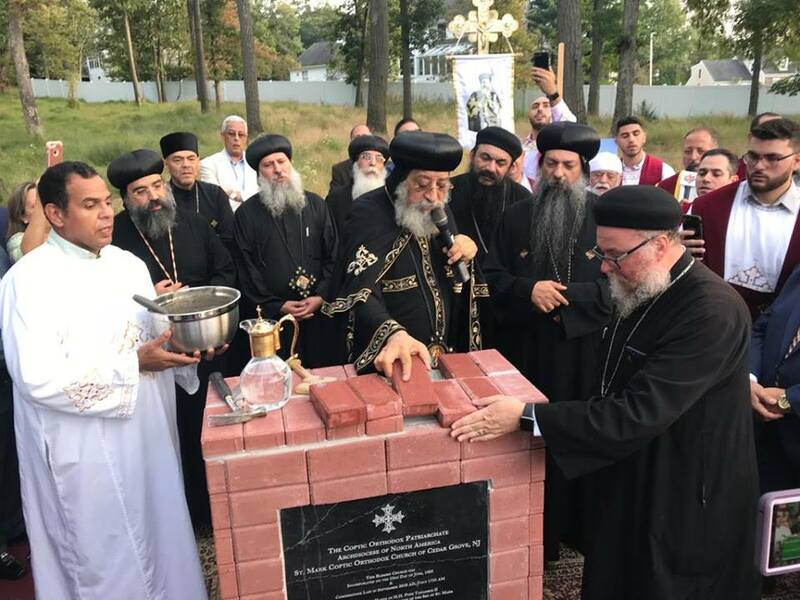 As he laid the foundation stone for a papal headquarters in Cedar Grove, the Pope explained that laying the foundation stone involves placing under the stone a wooden box that includes a Bible; a picture of the saint after which the new church is named; a newspaper of the day; paper and coin currencies of the country; and the document signed by the Pope, and the bishops and church priest as witnesses. 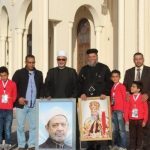 The Pope handed cups and shields to the winners in Mahragaan al-Kiraza al-Marqossiya 2018 (Festival of St Mark’s Evangelism 2018), the festival was held under the motto “Be prepared”. 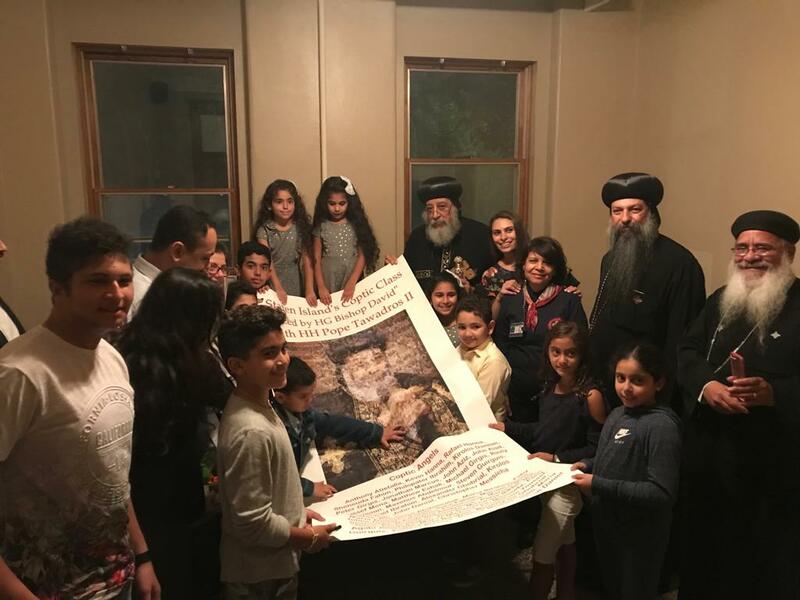 At St Mary’s Coptic School in South River, New Jersey, he talked to the children and had photographs with them, then told them one of the children’s stories he is famous for vividly recounting to children. Can American life change the Church? In Q and A sessions with the congregation, Pope Tawadros answered many questions posed to him. 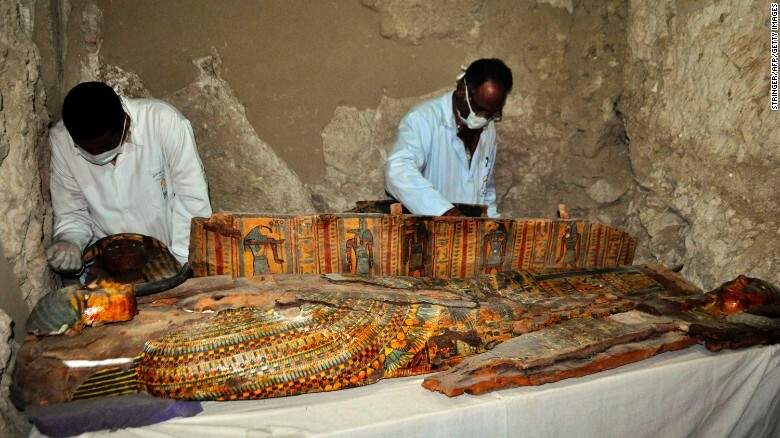 He assured the congregation that “Egypt is well, and the Copts are all right. 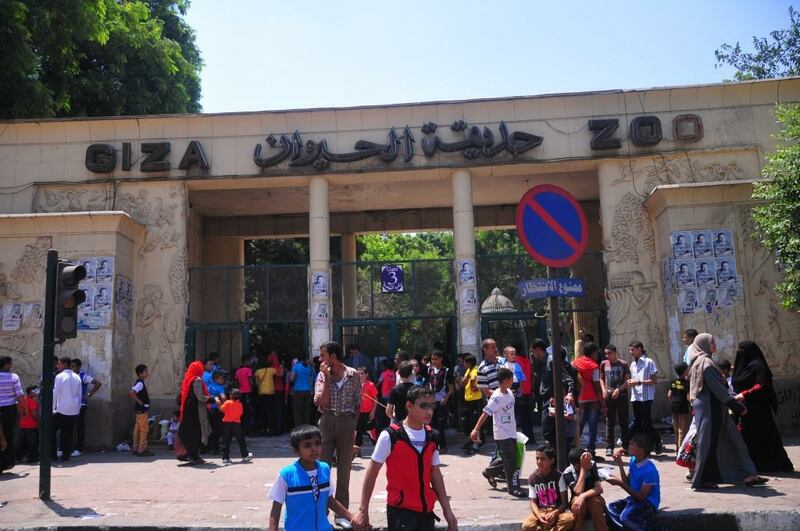 After turmoil and unrest [during the Arab Spring years in 2011 – 2014] Egypt is rebuilding herself. 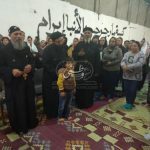 Given the huge population growth that brings up Egypt’s today population to some 100 million that include 15 million Copts, huge development is needed. Five years ago, a lot of work started; even if we wish for quicker results we must own that the 1000-mile-journey begins with a single step. Egypt has now taken that step. 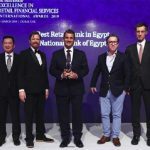 There are still problems and shortcomings to be sure, but one problem monastery, village or even region does not make Egypt. 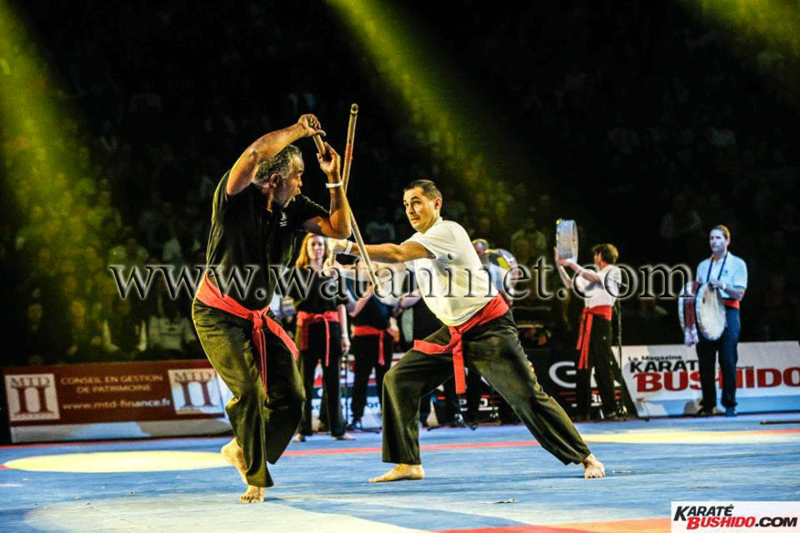 The body is sound, even if ailments exist here or there. The Pope also replied to questions on spiritual issues such as: How do I bring up my son in the fear of the Lord? 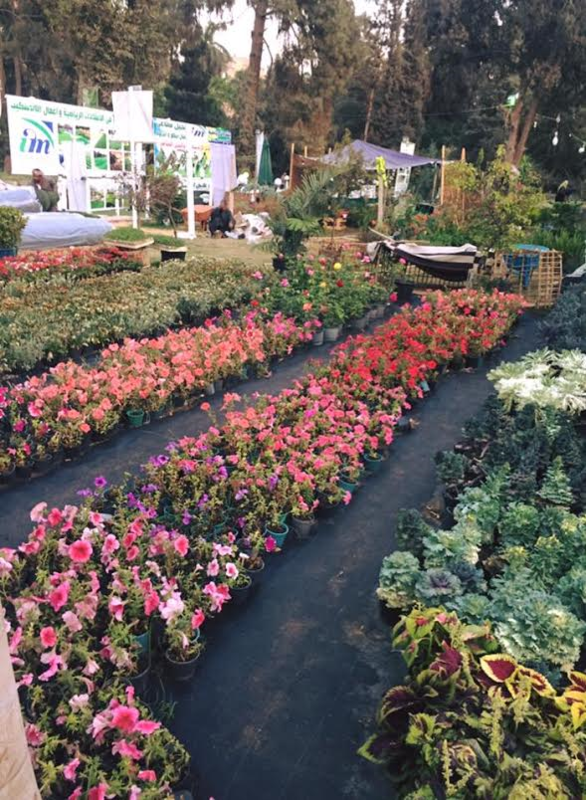 How do I live a life of thanksgiving and contentment under difficult circumstances? 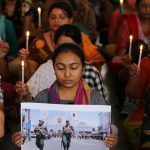 How do I exercise forgiveness? How do I retain my peace and joy in this [difficult] world? In addition to his pastoral duties, the Pope’s US visit involved courtesy visits and offering gifts to politicians. 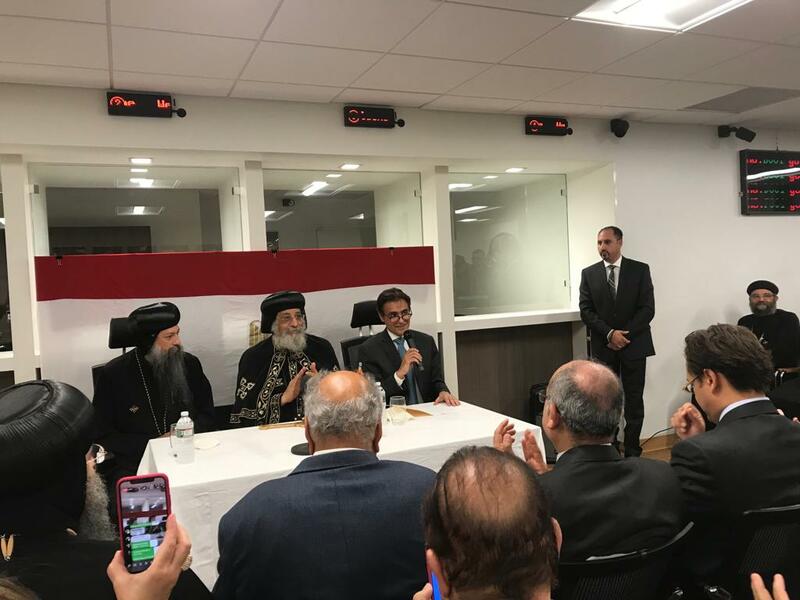 At the Egyptian consulate in New York, the Pope was received by Consul Hisham al-Naqib, and gave a word about Egypt to the guests gathered there to welcome him. 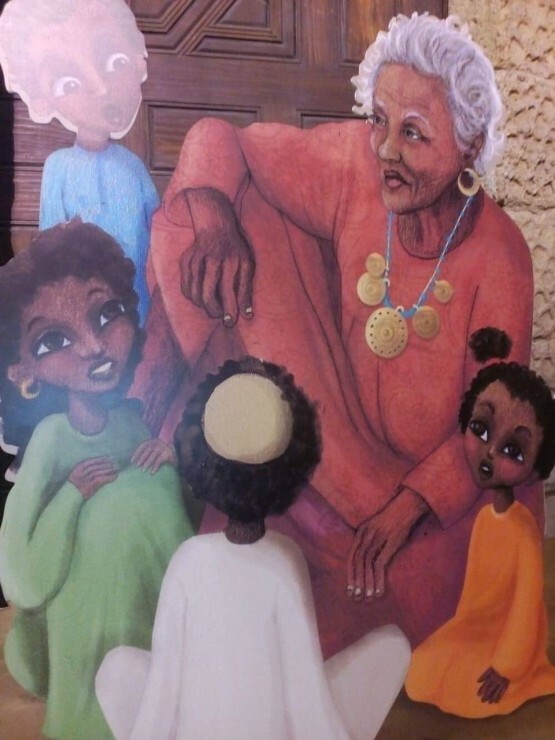 He spoke of Egypt’s history, land, and the Nile, and how they have gathered and united Egyptians of various religions throughout the years. Even today, he said, mosque minarets embrace church towers in a spiritual bond that goes ages back. Not many know, the Pope said, that the minarets evolved from the church towers which in turn evolved from pharaonic obelisks. The Pope met local politicians and mayors, many of whom had issued declarations of welcome for the Pope. 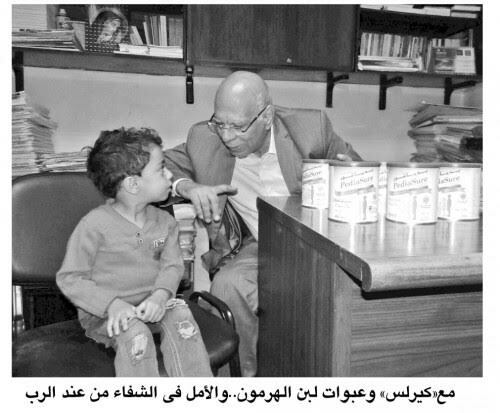 He welcomed them warmly and gave them souvenir gifts from Egypt. Wherever he trod, Pope Tawadros II was looked upon as a dear guest, messenger of peace.